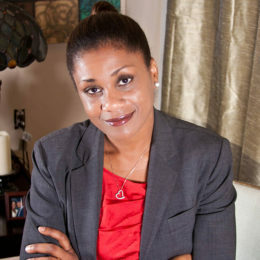 SHEENA BENJAMIN-WISE is a seasoned marital and family lawyer. She believes in educating her clients regarding duties and obligations of the law and strives to provide exceptional personal service to meet ultimate client satisfaction. She attended the UNIVERSITY OF MIAMI in Coral Gables, Florida and received her Bachelor of Arts in Psychology with a minor in Biology in 1994. Subsequently she attended NOVA SOUTHEASTERN UNIVERSITY SHEPARD BROAD LAW CENTER in Fort Lauderdale, receiving her Juris Doctorate in 2001. While at Nova Southeastern University, she was a member of Moot Court and served as the Team Editor. Ms. Benjamin-Wise participated in an international internship program in Cambridge, England. Ms. Benjamin-Wise was born in Brooklyn, New York. Sheena is married with two children and lives in Coral Springs, Florida. “If you Offer Inclusion Training, They will Come,” Children Our Concern: The Journal of the Early Childhood Association of Florida, Inc., Volume XXII, Number 2, page 24, co-authored with S. Gold, S. Liepak, M. Scott, (1998). “Parents Rights” Florence Fuller Child Development Center Parent Workshop March 2013.